I do rather like a conspectus. If you can tell me what I need to know in 1 page instead of 10, or 100 instead of a 1000, great. 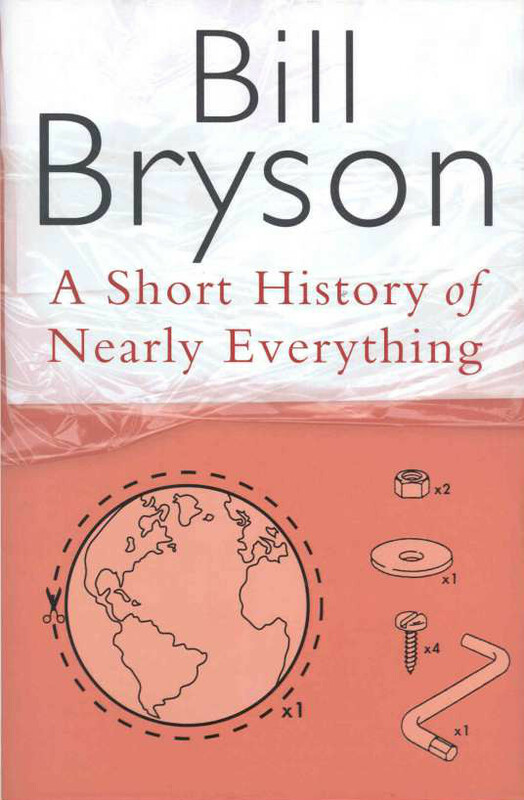 And one of my favourite examples is A Short History of Nearly Everything by Bill Bryson which is just ... wow! Could a book be more ambitious in its scope? As Bryson attempts to cover everything (well, nearly everything - he disappointingly doesn't cover the history of ginger beer), he does so with enough wit to keep you entertained, enough depth to keep you intrigued, and enough detail to make you look clever at parties without having ever actually studied whatever it is you're pretending to know about. Did you know, for example, that only 12% of the Earth's land surface is habitable for humans? If you take the total surface of the planet and not just the dry bits that stick out of the water, that shrinks to 4%. Wow. Thanks Bill. Do you have a favourite conspectus? Do please leave a brief summary of your comments below. Dear Husband bought this for me because according to him "I know a bit about the d****est thing" LOL. It's not (really) knowing as if I'm the Elementary's Holmes ;) (I wish) but more in the sense that I pick - like a bickering chicken - on this and that during the day. And he's always surprised why on earth I would be interested in that and what do I care about those... I really don't (probably) but my brain has a mind of his own ;) and stores the information up. I like the concept of Conspectus mainly because it gives me material to go on a hunt. We start our day in a similar way, Teresa, as I start by reading the articles on the BBC News website. One thing I love about A Short History is that you can just pick it up and read a random chapter, and it's as engaging when you dip in and out of it as it is when you sit down and read it cover to cover. A famous 20th-century physicist (Leo Szilard) once told a friend that he was going to keep a diary. I wanted to thank you for "bringing" me this book. Good Night, Eddie! I'm delighted, Teresa! Thoroughly and utterly chuffed! I watched a program on tigers yesterday and they chuff, or chuffle. It's the tiger equivalent of purring.